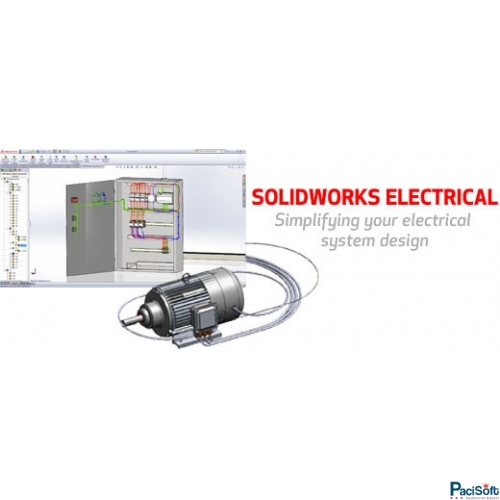 SOLIDWORKS Electrical 3D enables you to easily integrate your electrical schematic design from SOLIDWORKS Electrical to your 3D model of the machine or other product. 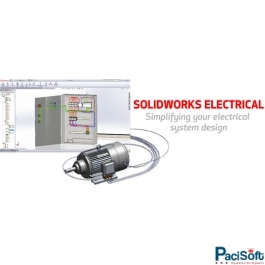 (SOLIDWORKS Electrical 3D requires SOLIDWORKS CAD software.) Designers can place 3D versions of all electrical parts into their model, and run wires/cables/harnesses in 3D to connect all electrical equipment. This enables you to plan specific locations and paths, and accurately determine wires/cables/harness lengths before equipment is built to ensure consistent manufacturing and to reduce scrap and costs. Your 2D schematics and 3D models are synchronized bi-directionally in real time, so any changes are automatically updated.